1. Let's start with the injury updates. Aaron Sanchez, as mentioned above, had season-ending surgery on his ailing finger that he got caught in his suitcase in Anaheim. Sanchez finished the season with a 4-6 record and 4.89ERA in 20 starts. It is expected that Sanchez will be good to go for spring training, but they thought the same thing about Tulo and he never came close to even being ready for a rehab game. Perhaps it is time to reexamine Sanchez's role on the team and consider using him out of the bullpen. 2. Another Blue Jay who saw his season end early was Lourdes Gurriel Jr.. The rookie utility infielder (2B/SS/3B) pulled his hamstring running to 1st base in the 1st inning Monday. No doubt he was disappointed to only face brother Yuli for one inning of the three game set against the Astros this week. He finished the season with a .281BA, 11HR and 35RBI. He had an on-base percentage of .309 and slugging % of .446. Gurriel Jr. had an amazing streak in July when he had multiple hits in 11 straight games, 2 shy of the MLB record. Defensively, he committed 9 errors, something he'll want to work on going forward. With plenty of time to rest, expect Gurriel Jr. to be good to go for spring training next year. 3. Marco Estrada was also unable to make his final start of the season after receiving a stem-cell injection in his lower back this week. Estrada finished the season, and likely his Blue Jays career with a 7-14 record and 5.64ERA. In the second half of the season, it has been a battle for Estrada physically as he dealt with a glut strain that turned into a back strain. With Estrada turning 36 in the middle of next season, it is likely the Blue Jays will opt to move on from the veteran starter with younger options (Sean Reid-Foley, Thomas Pannone and Ryan Borucki) looking ready to take the next step as a full-time MLB pitcher. 4. 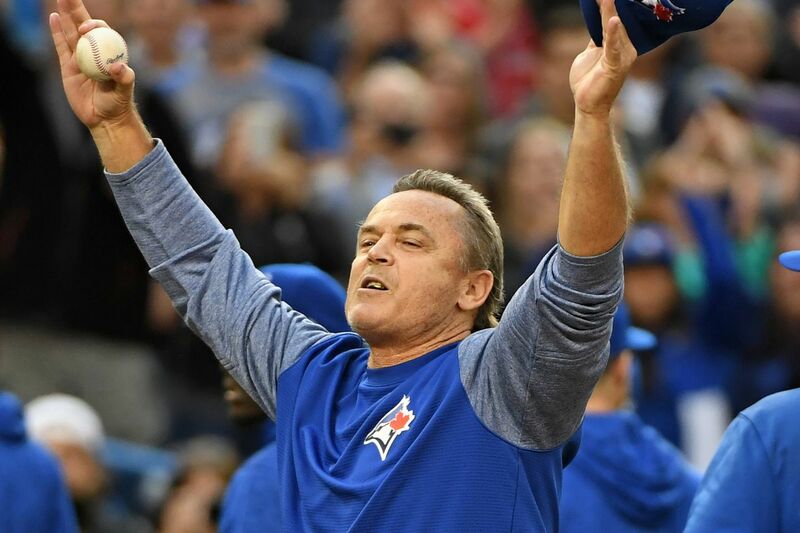 Perhaps the biggest decision the Blue Jays will have to make in the off-season is figuring out who will be the next manager. No doubt the team will be looking for someone who has major league and minor league experience (Buck Showalter), a manager who is good at working with younger players (Eric Wedge), and someone who will hold players accountable when they make mistakes or don't try their hardest (Mike Matheny). They also need a manager who is good at game management. The Blue Jays could promote someone from one of their minor league teams, but that would be risky. One person who should NOT be considered is John Farrell given he already quit the team to manage a rival once. Who's to say that if things go south Farrell won't abandon ship for a team with a legit shot at winning now. I also don't think it's a good idea to hire someone who's already managed the team. The Blue Jays need a fresh start, ideally someone new to the organization. My vote is for Joe Girardi, who nearly took the Yankees to the World Series in 2017. 5. Let's have a look at some of the free agents that are out there. However, before we get into that, we'll have a look at the Blue Jays who are pending free agents at the end of the season. Currently, the team has two players set to become free agents at the end of the season: Estrada and reliever Tyler Clippard. Neither pitcher is likely to be re-signed by the Blue Jays. Estrada's health and age are the likely deterrents not to re-up him. Tyler Clippard had a pretty inconsistent season. He was 4-3 with a 3.67ERA in . He saved 7 games, but blew 6 others. It is likely the Blue Jays will look elsewhere for relief help. Another player unlikely to return is Yangervis Solarte. While he is under contract for the next 2 seasons, there are other players (Tulo, Vlad, and Travis) who have performed better than him. Solarte finished with a .226 batting average, 17HR and 54RBI. One of the biggest knocks against Solarte is that he didn't always try his hardest. On ground balls he jogged casually to 1st base, not running at full speed. He committed 9 errors this season, 8 at 3rd base. It's very likely the Blue Jays will buy out Solarte's contract in the off-season. 6. Moving onto the pending free agents the Blue Jays might/should target. First, don't expect the Blue Jays to break the bank on one free agent. The needs the Blue Jays have are a fifth starting pitcher, one or two relievers and perhaps depth in the outfield. For starting pitchers, the Blue Jays could try and bring JA Happ back, or sign Derek Holland (7-9, 3.63ERA in 2018) or CC Sabathia (9-7, 3.65ERA in 2018). Relief pitchers the Blue Jays could target are Sergio Romo (3-4, 4.07ERA, 24 saves in 2018), Justim Wilson (4.4, 3.13ERA in 2018), or Joe Kelly (4-2, 4.45ERA in 2018). I don't think there are too many Blue Jays fans who would object to seeing Curtis Granderson return in a mentoring role. The trouble is, virtually all the available free agents are over 30 years old and many of them would not represent an upgrade over what the Blue Jays currently have. 8. This was both a magical and sad moment all in one. Every ball player wants to go out on their own terms. Unfortunately for David Wright, his body decided for him that his playing days were over. It is remarkable that he even came back for a pinch hit appearance and a start after missing the last two years with major injuries. Happy trails David Wright. 9. Thank you to all you guys for reading my random thoughts posts and also the game recaps. I look forward to continuing the random thoughts posts in the off-season and perhaps the game recaps, although I will see where things are at with getting a job.